Meg’s wool dream became a reality with a lot of help from a friend! Susan Gehringer has come alongside and with her infinite wisdom of wools, and processing, and knitting, weaving and design she has developed 4 styles of yarn and exquisite patterns as well. Watch for the book to arrive late 2014. Wool is a renewable resource. We shear the sheep every year. 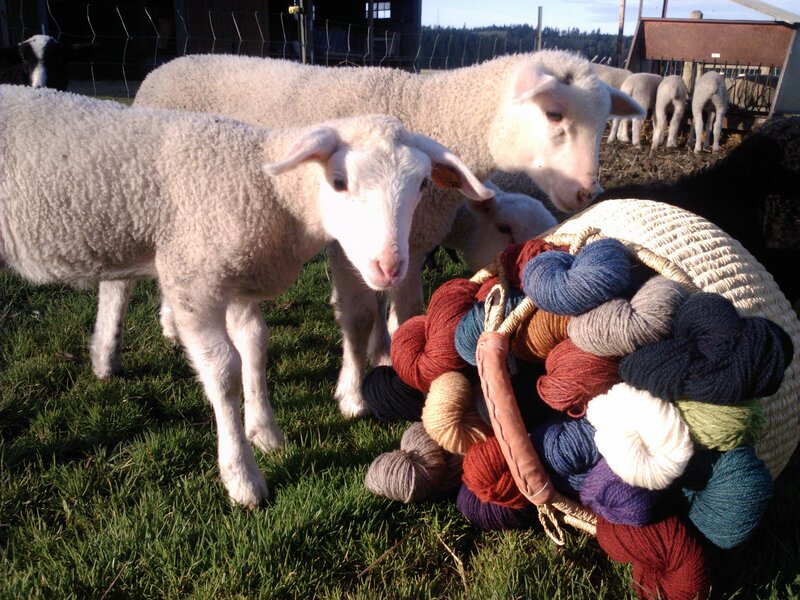 Healthy animals produce healthy wool which is sorted, skirted, and shipped off to the mill to be spun into yarn. How are you? Happy Holidays! Checking on the yarn/knitting book I signed up for when I saw you a few months ago. Hoping to give it to my mother for Christmas. She made such a lovely scarf out of the wool from your sheep! Thanks for checking in….we will be doing the final edits the day after Christmas and then will send the book off to the publisher. So sadly not done for Christmas but the good news is Susan has been able to make many improvements….our first attempt has a huge learning curve! Ok….sounds great! Will aim for her birthday in June:) Good luck with it and Merry Christmas! My husband and I stopped by at Willapa Hills Cheese on Tuesday and since I am a hand spinner I asked what was done with their sheep’s fleece. Vicki found out from Amy that the fleeces were given to you. I am interested in roving and batts to spin for myself. Do you have anything available? We do have some combed top available here as well as some carded batts. We are open on Saturdays from 10 to 4. This coming Saturday I will be at a National Needleart Assoc trade show but Brad will be here…..just not as much information on wool.